Use to elicit responses during examination. Can be combined with tuning fork. 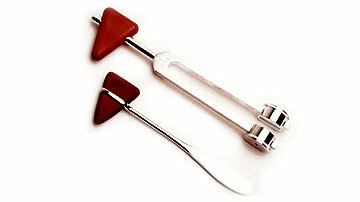 Two heads, point and brush for cutaneous sensation evaluation. Tuning fork has pinwheel.